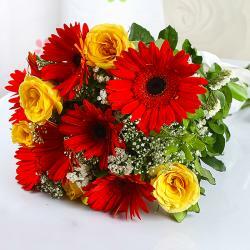 Product Consists: Bouquet of 15 Mix Colorful Seasonal flowers like Roses, Gerberas, Carnations with lots of green fillers. 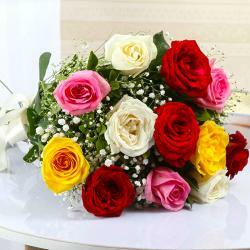 Send best wishes to loved ones on their special occasions with freshly picked flowers of Giftacrossindia and make them feel special. 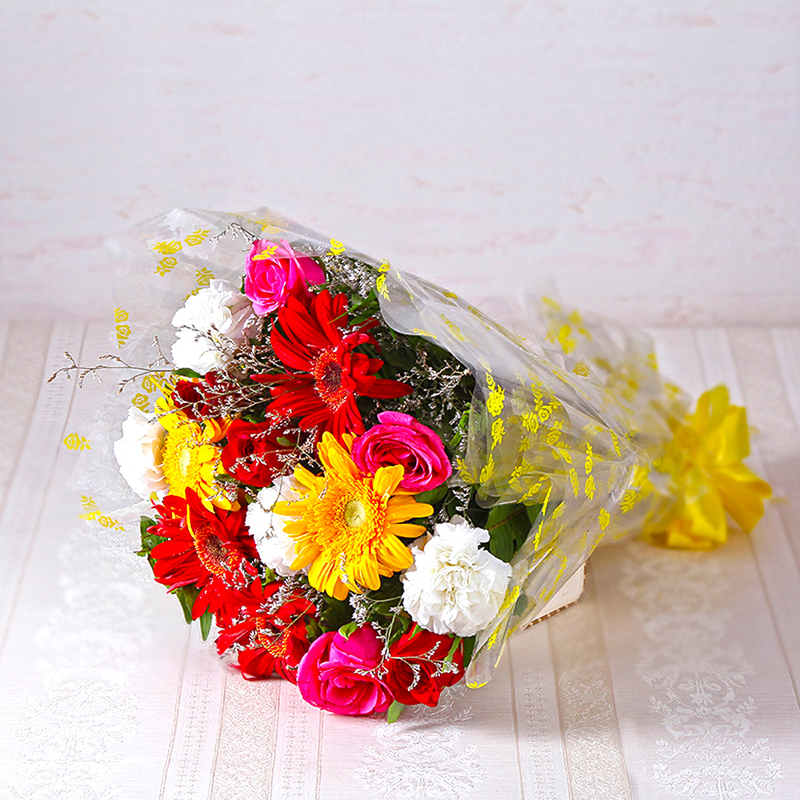 Extend your heart with sweet splendor that is this exclusive bunch of fifteen mix flowers that are bow tied together elegantly with lovely ribbon in matching color. You can send it to dear ones online on any special occasions like Mothers Day, Teachers Day, Friendship Day and more to light up your special ones with hearty smiles. 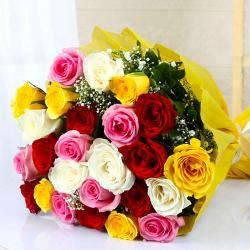 So go express your love in unique way by ordering these enchanting blooms from Giftacrossindia.com. 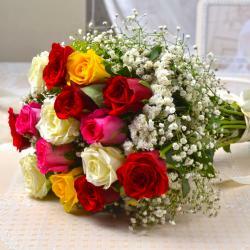 Product contains : Bouquet of 15 Mix Colorful Seasonal flowers like Roses, Gerberas, Carnations with lots of green fillers.